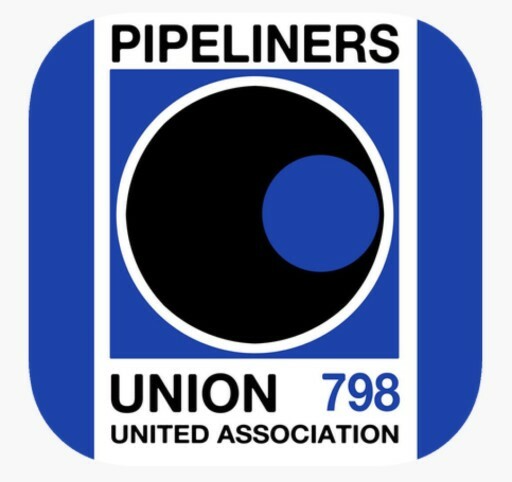 I had an opportunity a few minutes ago to speak to Pipeliners Union 798 at their annual Steward School in Tulsa, Oklahoma. Here’s what I told them. When Guy Williams asked me if I would come to speak with you, I jumped at the chance. I met Guy and several other pipeliners at a FERC hearing in Lancaster County, Pennsylvania. As an advocate for natural gas and the publisher of a blog called NaturalGasNOW.org, I was there to speak up for the Northeast Supply Enhancement pipeline project that will help deliver gas to New York City. You never know to expect at those hearings. Generally, the closer they are to the city, the crazier they get. When I saw numerous welding trucks drive into the parking lot, though, I knew we’d do just fine. Guy and I hit it off immediately and you can see the interview I did with him on my blog. He also did a wonderful guest post for us, which I titled “The Life and Times of Guy S. Williams, Pipeline Welder.” I encourage you to read it. It’s a beautiful story. The reason Guy and I hit it off, I think, is that we both grew up on farms. We knew early in life what work is all about. We know, too, that what makes America the greatest nation ever is the spirit of the common man dedicated to faith, family and country. Our Constitution is built on that foundation. As pipeliners—as welders—you all understand exactly what I mean. You are productive every working minute of every workday; producing tangible things for others and critical infrastructure for our nation. You produce for your community, your country and, especially, for your families. You’re the REAL real deal and it matters. My father-in-law was out of the same mold. He lost his mother at very young age and was on his own at an age when today’s teenagers are still learning to drive. When World War II came about, he ended up in the cavalry, riding horses until tanks replaced them. The Army then taught him how to weld. He welded on tanks that helped Patton’s army, of which he was a very proud part, make that masterful rescue of our surrounded troops in Bastogne during the Battle of the Bulge. And, then Eddie O’Neill came home and, together with wife Grace, raised four beautiful children. He welded boilers, farm machinery and whatever else needed welding to pay the bills. And, when the Tennessee Gas Pipeline came through Honesdale where he had, through hard work, built a wonderful new house for his family, he was asked to weld on the pipeline as well. It was another opportunity to be something bigger than himself, although his family always thought he was a foot taller than everyone else. Eddie was the sort of guy who makes every small community work. Welding was his profession. The pipeline work, though, brief, was something he was proud to have been involved with because it was important to the area. He was building up his community and helping build up the country for which he had welded on the other side of the Atlantic. Today, sadly, there are too many people who don’t appreciate what pipelines mean. They mostly come from cities where the closest folks get to producing energy is when they change the thermostat. Many of them haven’t got the slightest clue what’s involved in delivering their heat, air conditioning or electricity. They’ve given no serious thought to the subject, but because most of us want to be thought of as serious, they’ve got lots of opinions and reluctance to offer them. That, in a nutshell, is the problem we face with pipeline opposition. We can, in fact, sum it up in one word—ignorance. We could live with the ignorance, though, if it were not for the fact there is massive exploitation of that ignorance. It is this exploitation that makes pipeline projects difficult today. The exploited are easy to identify. Why? Because they’re usually in the uniforms aging flower children tend to wear. They’re also dreadfully humorless, absolutely incapable of smiling unless it’s to celebrate the solstice or some other meaningless event. They’re typically serial protesters, too, who jump from one cause to another. Many of them are trust-funder types who inherited their incomes and are seeking some relevance of their own. Still other trust-funders are doing the exploiting of these malcontents. Consider, for example Nathaniel Simons, the son of ultra-successful math genius and hedge fund investor Jim Simons. Nat, as he likes to be called, is heavily invested in solar energy, to which gas is dreadful competition. To deal with that competition, Simons and his wife created the Sea Change Foundation to which they have donated tens of millions of dollars used to fund the Natural Resources Defense Council (NRDC), for example, which has vigorously fought multiple pipeline projects in New York. The Sea Change Foundation, which has deeply mysterious dark money connections to a Russian friendly law firm in Bermuda, is also a principal funder of the Energy Foundation. That foundation, in turn, has funded not only the NRDC, but also numerous other anti-gas groups, including another non-profit known simply as Multiplier. Multiplier, as it turns out, funds an insane group known as Sane Energy which is doing protests against the Northeast Supply Enhancement or NESE pipeline project that gave cause for Guy Williams and me to meet last year. Sadly, they’ll probably succeed in getting New York to deny state permits for the project, which will then require going to court to beat them. Meanwhile, moratoriums on new gas connections have begun in the New York metro area due to a lack of pipeline capacity! New York, in fact, has denied water quality certification for several pipeline projects, including the Constitution Pipeline, at the behest of the Catskill Mountainkeeper. The Mountainkeeper organization is a spinoff of the NRDC with overlapping boards of directors. It is run by the son of the NRDC’s founder and long-time President, John Adams, who is closely associated with the Rockefeller family, which family has major landholdings in the Catskills. The Mountainkeeper and Food & Water Watch, both funded directly or indirectly by the Rockefellers, have been instrumental in opposing the Constitution and other pipelines. They have used a group known as the Sustainable Markets Foundation to pass out money to local opposition groups. The leader of that group, a lawyer who once led New York State’s trial lawyer association, also serves on the boards of 350.org, Earthworks and the Park Foundation, all of which are rabid pipeline opponents. The Park and Rockefeller families provide the money. Then, there is the Delaware Riverkeeper, the primary funding of which comes from the Haas family of trust-funders who are living off a chemical fortune made in Philadelphia. I call the Riverkeeper the “Povertykeeper.” It has opposed every conceivable oil and gas project within several hundred miles of the Delaware. What motivates these relatively few wealthy organizations, all of which are connected and overlap? There are two things. One consists of special interest investments the donors have made in green energy scams that bleed ratepayers and taxpayers. I am as supportive of green energy as anyone, if it pays its way, but we’re not even close. The second motivating factor is that desire for relevance I mentioned earlier. We’re dealing with second, third, fourth and fifth generation spenders of wealth generated by the first. We’re dealing with a lot of spoiled children who seek validation as worthy of the money they inherited. They desire recognition for their own virtues. There’s nothing especially new about this phenomena, but the increasing wealth of our nation has left a lot of money in the hands of those embarrassed by it. They feel a compulsion to spend some of it to enhance their own self-images as contrasted with their parents and ancestors. And, unfortunately, they’ve had a lot of success, however temporary. How do we fight these special interests? How do we take a stand for what you represent; the interests of the common man and the interests of the country? I have some suggestions. First, it is true that the future belongs to those who show up. When union members show up in welding trucks or colored shirts, it makes a huge difference in impressions. It forces any honest media to report the meeting somewhat differently. It leaves an image with hearing examiners, agency representatives and politicians when they see you and can’t ignore you. It lets everyone know there’s more at stake than the hyped up concerns of serial protestors or nervous NIMBYs. Secondly, pipeliners need to tell their story. I recall a large Marcellus Shale rally a few years ago in Pennsylvania. One of the most effective speakers was a trade union representative who quickly dismissed the frequent assertion made pipeline opponents that the jobs were merely temporary. His reply was that he’d fed his family for 40 years and sent his children to college one temporary job at a time. Making this sort of common sense challenge is critical to setting records straight. Third, you must help teach the industry how to fight. It’s getting better but is still behind. Too many times the instinctive reaction of pipeline companies to controversy is to attempt to blend into the woodwork with a lawyer-approved bunch of mush for a news release on the theory saying nothing will fool them. It never does and often worsens the problem. Union members know how to rally, how to talk plainly and how to get a simple and direct message across. You need to be right there with the industry to hold their hands and assure them straight talk never hurt anybody and might actually advance the cause. Fourth, you must demand that politicians listen and pay attention. Regardless of other concerns, no politician should take your support for granted. A politician will, by nature, play on both sides of the fence as long as they can get away with it. You may not always win, but you will always lose if you do not collectively and individually take a stand and make that pol understand there is a real and serious downside for not paying attention to pipeliner concerns; concerns such as jobs, community infrastructure, energy security and energy independence. Fifth, you must counter the nonsense. Those of us who grew up on farms, work for a living and put our priorities on family, family and country are apt to be polite, often too polite. We don’t make it our business to tell others how to live or what to believe. The other side, though, operates from a different playbook and intimidation is one of its weapons. It counts on your civility and your reluctance to argue. You don’t have to give up your civility but you do have to argue, preferably with a smile on your face. Be the happy warriors. Finally, you must unite in every way possible. There will always disagreements but let them be disagreements among friends. We’re up against big money special interests. We must, to beat them, unite across the spectrum of the various trades. The trades must be united with the gas industry from upstream to mid-stream to downstream. Both must be united with the larger business community and landowners who want natural gas development. The cause is too important to leave anyone out. We need joint rallies, letters to the editor, speeches, posts on social media, guest posts on blogs such as my own NaturalGasNOW.org. None of this is impossible or even that difficult. We are fortunate to live in a time of awakening as to the values of professions such as welding. You can even now get a four-year college degree in welding at PennCollege in Williamsport, Pennsylvania. Welders are now recognized as much more vital to our communities than lawyers or even planners such as myself. 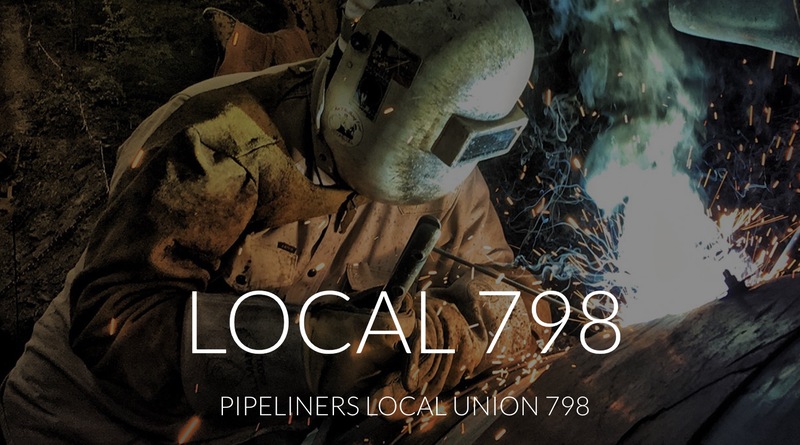 You can, in fact, make twice as much as a union pipeliner than almost all the lawyers in my town. And, that’s a decidedly good thing because you’re a whole lot more productive. And, that’s the way it should be in the real world. May it ever be so. Thank you for the opportunity to come here and just be with this great group of Americans; REAL Americans. You’re the best! God Bless You!